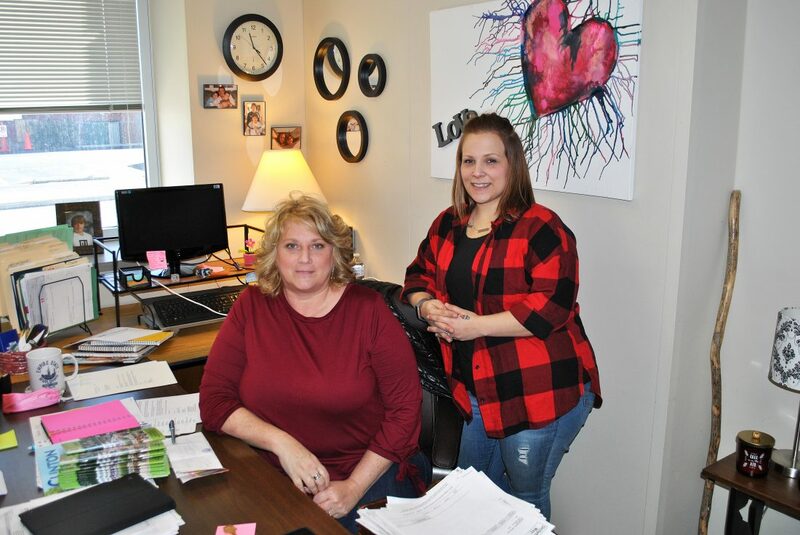 CHRIS MORELLI/THE EXPRESS Clinton County United Way Executive Director Maria Garlick and Assistant Director Tracy Roberts have moved into a new office space in the Garden Building in downtown Lock Haven. 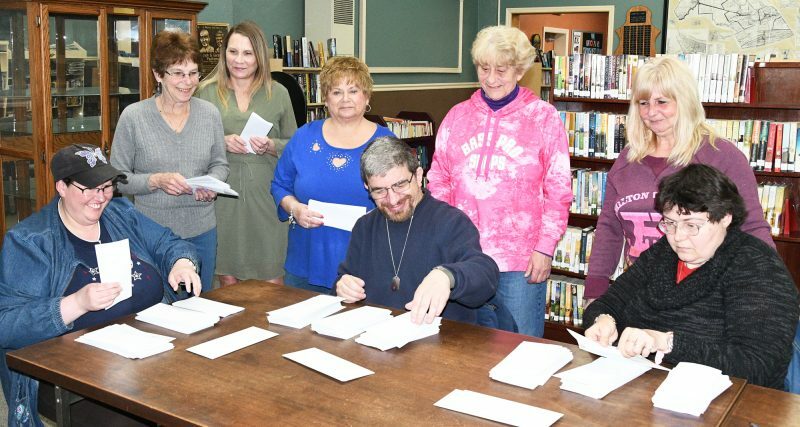 LOCK HAVEN — The Clinton County United Way has a new home. 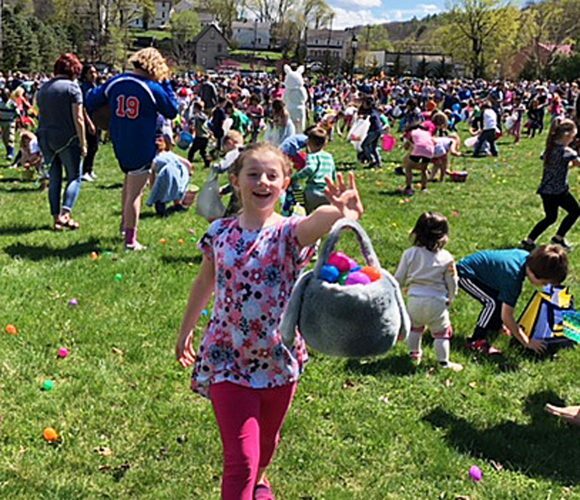 The organization recently moved from its office above Calico Creek Feed and Pet along Eagle Valley Road in Mill Hall to a new space in the Garden Building in downtown Lock Haven. According to Executive Director Maria Garlick, the move was necessary for a number of reasons. 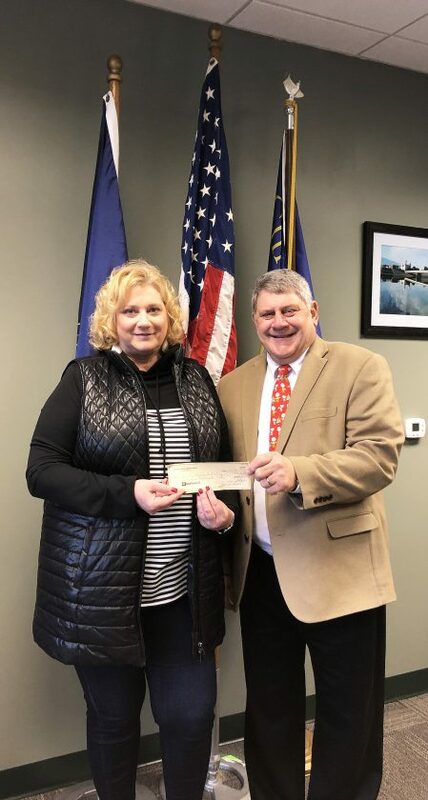 Photo Provided Northwest Bank presents Clinton County United Way Executive Director Maria Garlick with a donation of $1,500 towards the 2018 - 2019 Campaign. Garlick believes that being downtown will help in many ways. The United Way has made a series of moves in recent years. It went from space at The Roxy to Calico Creek and now to the Garden Building. Through all the moves, one of the constants has been Ernie Renniger, who rented the space to the United Way. “I can’t say enough about Ernie. He’s a fantastic guy and huge supporter of the United Way. That has kept our overhead expenses down so we can give more money to our partner agencies,” Garlick said. Photo Provided Clinton County United Way Executive Director Maria Garlick was presented a check for $2,500 by Clinton County Commissioner Jeff Snyder on behalf of the Lock Haven Kiwanis Club towards the 2018 - 2019 Campaign. The county has agreed to give the United Way three offices in the Garden Building – rent free. According to Garlick’s assistant, Tracy Roberts, they are very excited about being back downtown. “When we have to advertise, hang posters and purchase tickets, it just makes things easier,” she said. The United Way serves 15 partner agencies and two programs. They are: American Red Cross, Annie Halenbake Ross Library, Boy Scouts of America, Catholic Charities, Clinton County Healthy Communities/Dental Clinic, Clinton County Housing Coalition/Life Center, Clinton County Women’s Center/Safe House, Community Connections, Community Nursing Service of Clinton County, Horses of Hope, Infant Development Program, In Your Shoes, Lock Haven Area YMCA, North Central Sight Services and Western Clinton County Recreation Center. Additionally, the United Way assists with the Familywize Prescription Card Program, the Dolly Parton Imagination Library and general emergency needs. Garlick is relatively new to the United Way. She came on board in April of last year. She’s the former director of the Clinton County Housing Coalition. The United Way’s fundraising campaign is in full swing. Garlick said that she’s in the process of changing the fundraising calendar, though that won’t happen overnight. “We’re eventually going to change our fiscal year; that’s coming up next year. Eventually, we will change our campaign dates. We need to be more aligned with the businesses that donate to us and we’re not. We’re on a non-profit cycle, which is July to June. Businesses are January to December. When we finally do that, things will be a lot easier for us,” Garlick said. By changing its calendar, Garlick is hopeful that the United Way can do a better job helping its 15 partner agencies. “Most United Ways have already made that jump and we are finally doing that. Things will be a lot easier for us,” Garlick said. Garlick said that the United Way makes promises to its partner agencies well before the campaign officially begins. The United Way’s next fundraising event is set. Garlick announced that the United Way will have its guest bartender night from 5 to 8 p.m. on Friday, March 22 at The Edge. A portion of the sales during that three-hour window will go to the United Way. For more information about the Clinton County United Way or to donate to its campaign, visit www.clintoncountyunitedway.org or call (570) 748-7856.